No.38 I want to be an engineer creating new style of “communication” through video games! “HU Student Interview Series” gives our prospective students an insight into the perspectives of HU students. 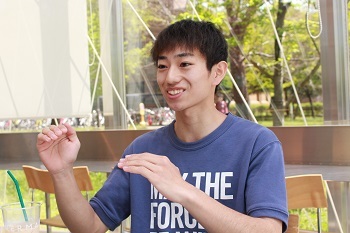 On the 38th interview in this series, we interviewed Mr. Masaya Kugita, who graduated from Miyazaki Nishi High School, Miyazaki Prefecture, and in the 3rd year of the Program of Information Engineering, Cluster 2, School of Engineering. Mr. Kugita lived in California, America for five years from his first year in elementary school. While studying hard to become a system engineer, he also takes part in the activities of E.S.S. (English Speaking Society). 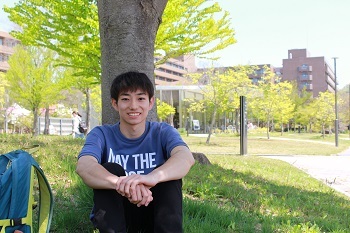 We heard his stories of his university entrance exam preparation days and school life at HU. I’ve always liked “making” something. When I was little, I liked to play with LEGO blocks and enjoyed making vehicles and castles. 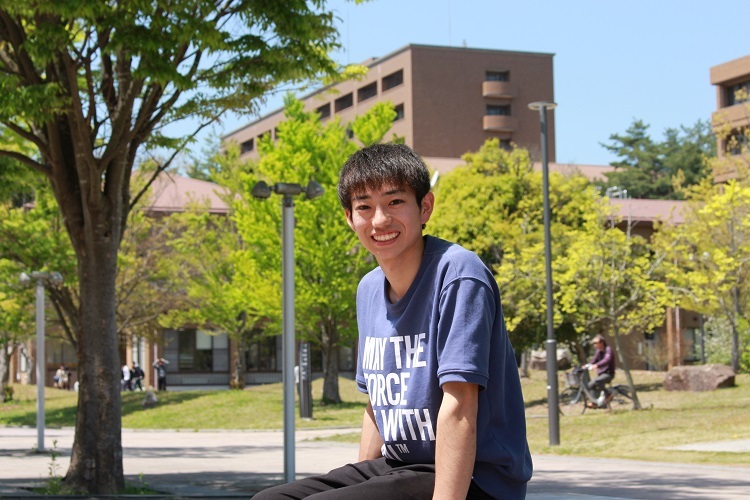 “I want to learn the technology of creation in engineering field in the future.” I started to think like that when I was in junior high. My vision became concrete when I was a first year student in high school. I had an opportunity to make a promotion video of my club. Everything was new to me but I used a free software and studied by myself. This was my first experience of “making something using the computer”. This was a trigger for me and I became interested in image processing, video processing technology like computer graphics and I started to aim for the university where I can study informational technology. I took the second entrance exam of Hiroshima University. After knowing that I did well in the National Center Test for University Admissions, I chose Hiroshima University because more score weighting was allocated to the National Center Test in Hiroshima University’s second entrance exam. Another decisive factor was the recommendation from my parents. 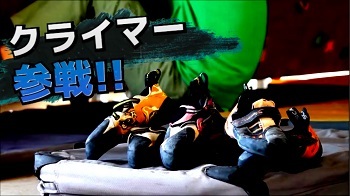 A part of the promotion video of the mountain climbing club. Mr. Kugita got into making something using the computer for the first time. I started my engine in the summer of 3rd year, after the competition of my club activity ended. I started taking lessons for the secondary examinations at cramming school. I remember studying all the time except for the time for food, sleep, and going to the bathroom. Sometimes it would be past 2 A.M. when I noticed. I tried to study all the subjects in a good balance, but for Contemporary Japanese, which I was not good at, I especially worked hard. It is said that you have to “read to solve a problem”, not only just reading it. I solved the past problems a lot, and I also asked my teacher to check my answers to understand the know-how to “read”. My friends and teachers helped me keep myself motivated during my study. My friends and I would solve problems together, and help each other. Thanks to them I was able to study during my hard days. My teachers helped me out not only on correcting my Japanese and English writings but also on my oral examination. I was able to take the exam without any worries. Mr. Kugita looking back at the notebook he used in the entrance preparation days. He wrote the studying schedule and the scores of mock examination. In the 1st and 2nd years in university, I mainly learned the basics of programing and fundamental college mathematics. To tell the truth, I wanted to do more exercise. From this year I get to learn something more specialized like image processing so I’m very excited. From this semester, I’m doing a group study with 5-6 members in my spare time. We learn about Algorithm and solve programing problems. Some of the members are the freshmen of the newly opened School of Informatics and Data Science. I want to become a system engineer in the future and do a job related with video game production. The game I want to make is not the kind of the game you play by yourself, but something you can enjoy with multiple people, like your families and friends. I want to create a brand new “playground” and “community” that everyone can enjoy. In game developing, there are many specialists involved, like programmers, designers, graphic system engineers, sound effects system engineers, and so on. Right now, I’m interested in the graphics, but I want to do programing and designs so I want to learn many things and work in wide fields. To do so I’m thinking about applying for the graduate school. 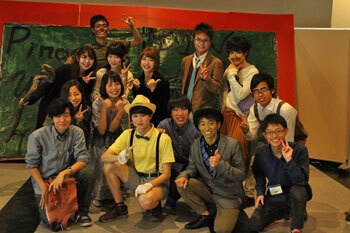 One of the reasons I feel glad to enter Hiroshima University is the encounter with E.S.S. (English Speaking Society). E.S.S. consists of 3 Sections; Discussion, Speech, and Drama. It was perfect for me since I was looking for a place to use my English, and I decided to join the club right after I entered the university. Right now, I’m the leader of the “Drama” section. I wasn’t the kind of person who stands out in front of people before I became a university student, but as I practice acting in the Drama section I earned courage. Now I’m not afraid to stand out anymore. There are a lot of events in the club like recruiting new members. Planning events and making one thing with the members are so exciting. Maintaining my language skill was the reason to join, but now there’s more I can earn from this club. Studying for the entrance exam can be hard and tough. Sometimes your mock test scores won’t improve and you might feel anxious. But I believe someone’s effort towards their goal will never be in vain. Please go straight ahead to your goal until the very last! I’m cheering for you.